And that’s why we’re the ultimate solution in brewery ‘hosery’. Brewflex is a high quality, butly lined hose designed specifically to convey beer. It disrupts the brewery hose marketplace by being affordable yet remains high quality. Flextech might only be a young company, but our team is formed of people with a wealth of industry experience. 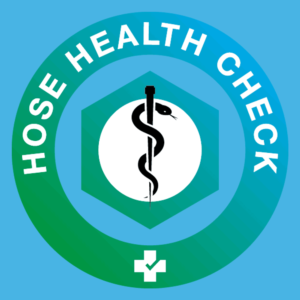 Over the years that we’ve invested into the hose industry, we’ve built up an extensive library of knowledge and understanding when it comes to the topics of quality and hygiene with regards to hoses and so it’s fair to say that we know what we’re talking about. 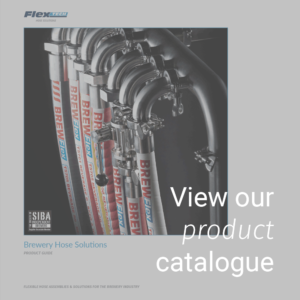 Since 2012 we’ve supplied our high quality, hygienic, butyl lined, rubber Brewflex® beer hose assemblies into over 400 breweries in the UK and Europe. As a buyer, when it comes to purchasing something you expect the seller to know what they’re talking about, and for most industries this is probably the case – however, in the hose industry it is quite a different story. Decades of price wars eroded any need to understand the true value of a hose (unless you were passionate about quality) and the properties it’s unique materials and construction offer. And so, what we have is an industry saturated with hose suppliers whose knowledge on; “what hose is most suitable for an application”, “how does this material react with that media” and “why is the hose liner important” etc. is severely lacking. The truth is, most hose suppliers in the UK do not know their hoses like you know your beer and as a result they sell you cheap, low quality, imported hoses, manufactured in dirty environments, yet still branded and sold as “food quality”, making them completely unfit for purpose. Big businesses understand the importance of; hose quality, hose hygiene, hose health checks and hose maintenance due mainly to the fact that at one time, they didn’t understand, and it was costly – because losing a batch of beer to contamination through a faulty or low-quality hose was overlooked, because obviously, a hose is just a hose… or is it? The truth is, every single hose is different. Sure, some are similar but isn’t that just the same as beer? Generally, beers consist of four key ingredients; water, yeast, barley and hops yet somehow through creativity, and ingenuity a completely unique beer can be produced. Similarly, hoses consist of three key components; the liner, the reinforcement and the cover yet through ingenuity and engineering expertise each hose is uniquely crafted to suit an application. If there’s one thing I will say it is this: The hoses, that you use to brew your beer with are important. Although they might be an after-thought once the brewery has been kitted out with pristine stainless-steel tanks, this doesn’t negate the fact that the hose you choose will impact the beer you produce. Initially, this amount may be nil or negligible but why take the risk? Even the most expensive of brewery hoses is a minuscule cost when compared to the grand stainless-steel vats that gloriously shine inside a brewery. A cheap rubber hose import with jubilee clipped end connections is a hygiene and bacterial contamination risk waiting to happen and it doesn’t make sense to compromise the integrity of these expensive hygienic vats with a cheap low-quality rubber hose, let alone PVC. A beer hose should not; smell of rubber or glue or plastic, it should not have an NBR liner and it should not use jubilee clips to fix the end connections onto the hose. A beer hose should; be smell and taste free and it will not taint your beer, it should ideally have a butyl liner or an EPDM liner at the least and it should have permanently swaged hygienic end connections. The consequences of using the wrong hose usually results in premature hose failure, batch contamination, compromised health and safety and production line deficiency to name a few. The aim of this website and accompanying catalogue is to give an overview into all thing’s brewery hoses and associated brewery equipment as well as hose health checks and maintenance. We’re not the only company in the UK to offer high-quality hose solutions but we are one of only a handful. Why do I personally care? I’m a passionate engineer with versatile experience. I’ve seen a lot of people who’ve been misled and misinformed over the three decades I’ve been involved in the hose industry and I want to put it right. It’s not always easy to communicate but I understand hoses and I understand quality which is why I started Flextech. 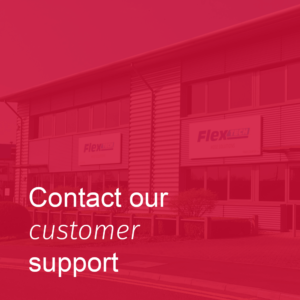 At Flextech, our passion is for quality and our mission is to educate, help and support the marketplaces we’re involved with so that it is clear and easy to see the differences between good and bad quality hoses as well as fit and unfit hose solutions.